In an ever competitive environment with the imminent merge of hotel giants, and both the threats and opportunities posed by OTA's, your Sales and Marketing strategy is more important than ever. If you own and operate a Holiday Complex getting these strategies right are at the core of your success. Bookings are now open for the next in our seminar series presented by the team at Koncept Konnect, who are well-known for their expertise in these areas. Come along and sharpen your skills and hear some practical advice on how to get the most out of the coming year. Sales & Marketing- what is the difference? How do they both work together for business success? How to join up all the dots to ensure your sales and marketing strategies, time and spend is most beneficial for your business. Tips and tricks on setting your rates, seasons and offers. Tips and tricks to ensure you have a website that works! Koncept Konnect have been helping tourism and hospitality businesses to Seek, Build and Grow since 2013. Koncept Konnect provides an outsourced support service that assists small to medium businesses with their sales & marketing to assist and improve their business whilst you, the management, focuses on the day to day running of your business, customer service and guest experience. Over 70% of their existing clients have been partnered with them for over 4 years. The two presenters at the event are Kim Jeffrey and Varia Mitchell who are incredibly passionate about their ongoing education and training for the ultimate benefit of their clients. Kim’s background is operational, owning and operating her own management rights for over 20 years and then providing consulting sales & marketing services for another 10 years. Varia’s experience is in sales & marketing for independent hotels, tour operators and large hotel chains for over 22 years. This series is being offered FREE of charge. What are the current issues killing the sale of Management Rights businesses? Whether you are selling right now or not, at some stage the answer to this question WILL affect you. Don’t miss your chance to hear some extremely timely and relevant information from one of the industry's most respected lawyers. A must for any management rights businesses. Note! This is not a software specific presentation. Users of all types of PMS software are well-catered for. This seminar is entitled Prior Preparation and Planning Prevents Poor Performance or PPPPPP for short. Frank and his team are involved in a large number of Management Rights sale transactions every year, and it is fair to say that there are a number of significant yet entirely avoidable situations that are either preventing sales from settling, or obstructing the sales process. Attend our seminar to hear about the current issues killing management rights sale deals and how to overcome them. Frank joined Hynes Legal in 2001. He became a partner/director in 2004 and since then has whittled his practice down to the two keys areas for strata law in Queensland - body corporate law and management rights. He and his team are the only experts in Queensland that truly specialise in both of these areas of law. Frank is a fellow of the Australian College of Community Lawyers, is admitted in Queensland, New South Wales, the High Court of Australia as well as England and Wales. He is also one of the few panel lawyers to ARAMA, the peak management rights body. There are very few strata issues Frank has not seen in 25 years plus of practice. Hurry – Places are strictly limited. Bundling in our industry loosely refers to the practise of charging a fixed percentage that includes all or most of your charges to your owners. In the past, managers would traditionally break down their Property Management fees and charges into a mixture of percentage based fees (like management commission) and fixed price fees (like cleans, linens, and letting fees) on their owner agreements. Particularly in QLD, when the new PO and AFA Acts coming into force in 2014, a greater amount of flexibility was opened up to managers and owners alike in the way that fees and charges are levied in accordance with the owner's agreement. But how do you know which method is right for your business? Should you bundle your fees and services into one or several commission amounts, or should they be separated by way of a mixture of commissions and dollar amounts? Not getting the answers to these questions right could have significant ramifications for the ongoing profitability for your business, and of course the ability for a positive outcome when it comes time to sell. Regardless of which state you operate in, and whether you operate a Management Rights or a Property Management office, we're sure you'll agree that to Bundle or not to Bundle is a critical decision for your business. As part of our ongoing commitment to our members, we're pleased to announce the next in our seminar series – "The case FOR and AGAINST bundling." This seminar will be presented in two parts by two giants of our industry - Tony Rossiter from Holmans Accountants (The Case FOR) and Damien Moffrey from Savvi Accounting (The Case AGAINST). Both of our presenters are strong believers in their point of view and will present some compelling arguments to support their cause. Don't miss your chance to hear some extremely timely and relevant information from two highly qualified and respected accountants. With many years hands on experience in audit, taxation and profit verification, Damien has been involved in the industry since 1989. The adage "not your typical accountant" describes him well as his traditional accounting skills are well rounded by his real business experience in the property industry. Damien’s firm represents many clients with Trust Accounts and provides services ranging from profit verification, trust account audit, taxation, planning and succession, superannuation, corporate structures and general accounting services. Throughout his 20+ year career as a Chartered Accountant, Tony has specialised in providing Accounting and Taxation services to the Accommodation Industry. Tony is particularly passionate about advising new entrants to the Accommodation Industry, providing business structuring, due diligence and related advice to assist clients in the acquisition and operation of their Accommodation business. Tony’s knowledge and expertise in the Accommodation Sector is highly regarded by financial institutions, legal advisors, sales brokers, valuers and associated industry specialists. Holmans Accommodation Team currently provides professional services to in excess of 300 Hotels, Motels and Management Rights properties throughout Australia. NB – A strict limit of one person per business applies. To book CLICK Here and let us know which session you would like to attend. On the 1st December 2014 the new Property Occupations and Agents Financial Administration Acts and corresponding Regulations came into force in Queensland. Three years on from these important documents becoming Law, there have been many businesses that have changed hands, and additionally they has been a huge number of new clients to the industry. In an effort to keep our members fully informed about issues surrounding the operation of a Trust Account, we’re holding a seminar on “Compliance with the Agents Financial Administration (AFA) Regulation 2014”. This seminar will cover the AFA Regulations in their entirety, with a particular focus on practical compliance, interpretation and relevant examples from within your software. The Office of Fair Trading is serious about your compliance with these regulations, and this seminar will ensure that you fully understand your obligations (including those of your staff), in order to pass the scrutiny of an OFT audit. Don’t miss your chance to obtain some specific and usable information regarding your daily and monthly requirements in accordance with the regulations. Hurry – Places are strictly limited. Any owner or staff member of a business that operates a Real Estate trust account in Queensland. Note! This is not a software specific presentation. Users of all types of PMS software are well catered for. Justin is the Managing Director of REI Master and has been servicing the Real Estate, Property Management and Management Rights industries for nearly two decades. Justin’s flagship products REI Cloud, REI Master and EzyRez enjoy a strong market share of over 1300 offices and are famous for their functionality, ease of use and customer service. $88 per participant (Incl GST). 1 Existing REI Master clients -> download the booking form from here and return it to us by fax or email. 2 External clients -> download the credit card booking form from here and return it to us by fax or email. Hurry - this seminar WILL be booked out ! The information contained in this seminar is of a general nature only and should not be relied upon as specific advice for you or your business. You should speak to your advisor regarding advice that relates to your individual circumstances. REI Master is proud to bring to you free of charge our DON'T SAY BOOK DIRECT!!! Workshop presented by Brendan Veary from Pebble Design. This workshop is targeted at holiday management rights customers. 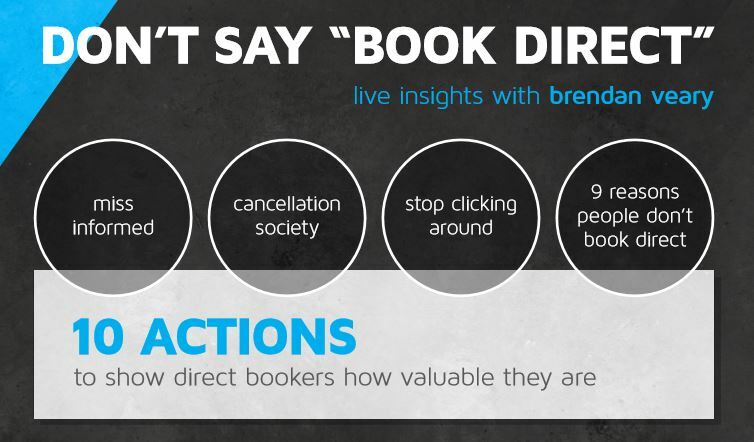 The focus is for you to learn how you can show your direct bookers how valuable they are. We are pleased to offer this event FREE of charge as our ongoing commitment to the industry, however we do ask for you to support our Charity of Choice for the month of November. eWAY is one of Australia's leading Online Payments and Payment Gateway providers. eWAY is tier-one PCI-DSS compliant as externally audited by Stratsec (QSA)—ensuring the highest security standards set by Visa and MasterCard. We're pleased to announce that the first round of our integration with eWAY is now complete. Our Booking Engine clients now able to integrate the eWAY Payment Gateway into their online booking process, allowing payment to be taken at point of purchase, with funds settled into your bank account the same day. The eWAY payment Gateway is compatible with all of the major banks and works alongside your existing merchant facility. As well as Visa, MasterCard and AMEX, the system also supports 3D Secure, PayPal, MasterPass, Visa Checkout, AMEX Express checkout and credit card surcharges. NB – Only eWAY can provide the eWAY service. Payment Gateway transactions will be processed by eWAY not REI Master. REI Master is not an agent or representative of eWAY. Stay tuned for the next round of development which is now underway that will allow full integration to the eWAY Payment Gateway from within the REI Master guest booking screen! This is excellent news for our all of our holiday letting clients, as it will in time, change the way your business handles credit card transactions. For more information about eWAY you can go to https://my.eway.io/rei-master and register your details and an eWAY representative will be in contact with you. We're thrilled to announce the latest upgrade to our cloud platform. Accessed from almost any internet browser and requiring no installation, the REI Master web application works in perfect harmony with your REI Master Cloud workspace. This means that on top of accessing the full version of REI Master from any where on any device, users now have much greater mobility for accessing and processing data on the go. We've improved our menu structure and it's fully finger friendly too! "You won't believe the power, flexibility and features of the REI Master Cloud offering." says REI Master co-founder Justin Owen. "Now you can truly work anywhere, with no compromises". For more information contact us for a no obligation demonstration. REI Master is a comprehensive Property Management and Trust Accounting System. We specialise in servicing the real estate, property management and management rights industries. Our products are rock solid, reliable and built with the end user in mind. We understand how you work, we live and breathe property management - just like you. But you'd expect all this from a company that's been servicing the industry for 16 years.